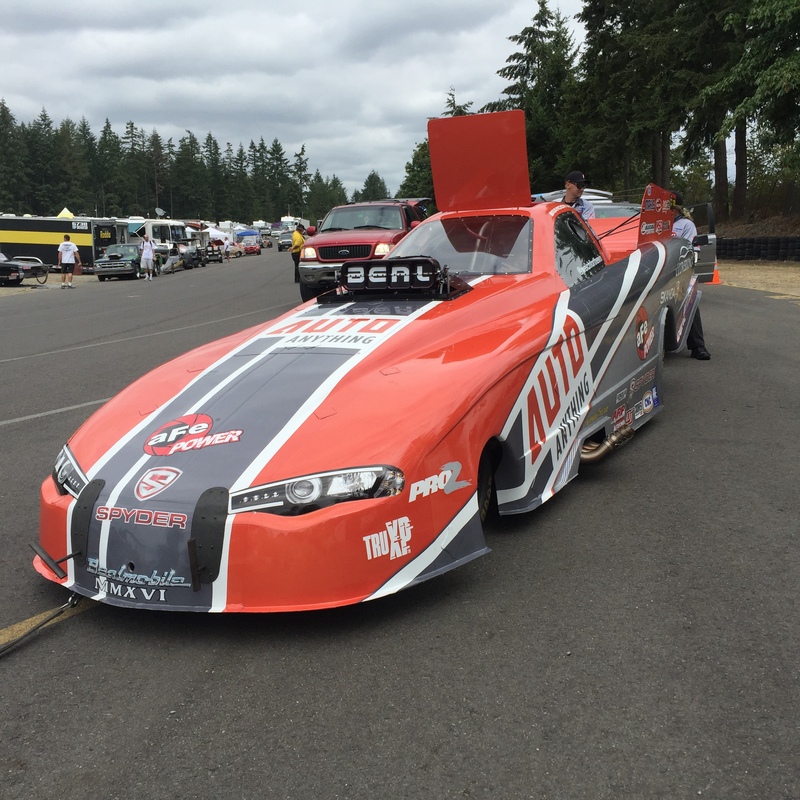 SEATTLE, WA – The Beal Racing AutoAnything nitro funny car team made the journey to Seattle in hopes that they could rebound from a rocky weekend at the Sonoma Nationals. As the last stop on the NHRA’s Western Swing, this year’s Northwest Nationals provided several exciting moments including record-setting performances across the professional categories. Beal Racing experimented with a new clutch setup in an attempt to make the car more consistent and easier to tune. The change over to the new setup kept them out of the first and second qualifying runs on Friday. On Saturday, the team struggled to get a handle on the clutch tune and spun the tires in the remaining two qualifying sessions. After qualifying in the 15th position, driver Brandon Welch went into eliminations on Sunday with a first round matchup against Ron Capps. The car spun the tires immediately and Brandon was forced to abort the pass. Their next race will be on Labor Day weekend at the NHRA U.S. Nationals in Indianapolis.